Fresh off a quality win in Boston, the Spurs traveled to Charlotte but, unfortunately, they failed to carry forward the momentum. 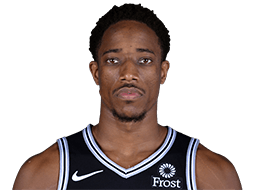 With a 125-116 overtime loss to the Hornets on Tuesday night, San Antonio dropped to 43-32 and sit in the eighth spot in the Western Conference. The contest in Charlotte involved a multitude of runs both directions and neither team was able to grab any semblance of control during regulation. The Hornets looked to be in good shape with an eight-point lead with seven minutes remaining in the fourth. 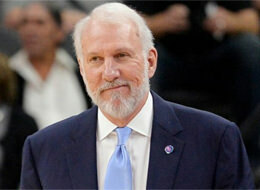 However, the Spurs responded with an 11-2 over the next four minutes to erase the deficit. At the end of regulation with the game tied, the Spurs got a stop with 19 seconds on the clock. DeMar DeRozan successfully managed the clock to get the last shot but he missed a 17-foot step-back jumper as time expired. In overtime, things went south quickly for San Antonio. Kemba Walker scored 12 points during Charlotte’s 14-6 start to the extra session that essentially ended the drama. All in all, it was a disappointing night for the Spurs. They missed many makeable shots, had trouble stringing together positive possessions, didn’t display much cohesion on offense and the defense totally imploded in overtime to kill any chances they had to notch their 15th road win of the season. Pluses: I thought LaMarcus Aldridge played hard. He ran the court with purpose, was physical in the paint and was able to get a lot of clean looks. His passing was good, as was his handling of double-teams. Rebounding-wise, he was really, really solid on both ends of the court. Charlotte focused a lot of their energy at trying to keep Aldridge off the glass. Minuses: Aldridge missed a lot of easy shots. On a few of the shots, it could have been helpful if he powered the ball up with more force. Defensively, Aldridge wasn’t anything special. He was okay-ish near the rim but he was a step slow in his pick-and-roll and perimeter defense. Summary: Aldridge did a lot right but didn’t finish off enough possessions. DeMar DeRozan was too quiet in the first half but eventually made himself heard in the second half. Down the stretch in the final eight minutes of regulation, DeRozan willed the Spurs back into it. During that stretch, he scored 12 points and did so almost exclusively via isolations. His power, forcefulness and skill were impressive to end the fourth quarter. Unfortunately, he missed a shot at the buzzer that could have won the game and then disappeared in the overtime period. Throughout the game, his playmaking wasn’t at its normal level, although it was impressive that he went without a turnover in his 40 minutes despite attempting many difficult passes. Defensively, he was good enough for the Spurs to win; I didn’t see too much slippage in that area. Summary: DeRozan tried to win the game but came up short. Ouch. 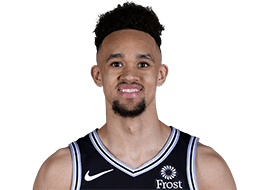 The Hornets came out with the gameplan to make Derrick White beat them with his jumper and White responded in the worst way possible: he not only missed all ten of his field goal attempts, his confidence plummeted and he started turning down shots. While his passing was good, the Spurs would have been much better off if White hit a couple shots to force Charlotte to alter their defense. Defensively, White was pretty good early on – particularly in recovery situations where his length and timing allowed him to disrupt from behind. Late in the game, especially in overtime, White didn’t offer much resistance at all on the defensive end. As Walker went nuclear to win the game for the Hornets, he did so with White as the lead defender. Summary: It was a very forgettable evening for the second-year guard. 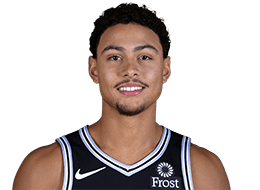 Bryn Forbes scored San Antonio’s first eight points and his confidence remained high for the duration of the contest. He spaced the court well for the Spurs and his decisions with the basketball were crisper than usual. Defensively, things didn’t go as swimmingly for Forbes, even though his effort level was satisfactory. He got overpowered a number of times and was completely overmatched when he was asked to defend Walker. Summary: Forbes helped the cause on the offensive end. 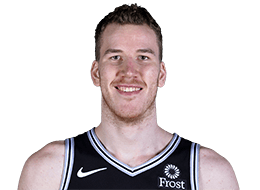 Defensively, Jakob Poeltl did a lot of good. He was strong on the defensive glass and guarded the hoop well at times – although he was caught flatfooted from time to time when it was his job to help. Offensively, he set good screens and finished strong. But he also was uncharacteristically weak on the offensive glass and missed three of his four free throw attempts to lower his free throw percentage on the season to a career-low 52.4%. Marco Belinelli’s effort was commendable. He was in constant motion while on the court and his energy was the lifeblood of the second unit. Belinelli was fearless about letting it fly whenever he was given the opportunity. Sometimes he got himself in trouble by jumping without knowing where he wanted to pass the ball but errors due to aggressiveness were forgivable on a night when the offense was prone to getting stuck in the mud. Defensively, Belinelli helped out more than usual by way of his season-best rebounding total. 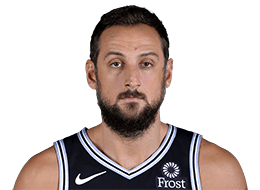 Summary: Belinelli did what the Spurs needed him to do. 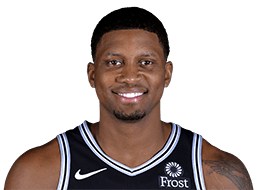 Like Belinelli, Rudy Gay deserves credit for making things happen. He punished the Hornets whenever they put a smaller defender on him. His scoring and passing were both weapons when he was taking the ball to the basket. Gay also rebounded well (he has grabbed exactly nine rebounds in each of the last four games). 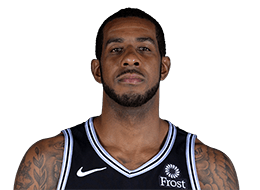 He gave back some of his positives by being a little too sloppy on offense at times and his lack of mobility hurt the Spurs at times on the defensive end. Summary: Gay successfully sparked the team. There wasn’t much out of the ordinary from Davis Bertans on Tuesday night. He shot threes when given the daylight. When the defense rotated hard out on him, he used his dribble as a counterattack and created a little bit of offense that way. Defensively, he stayed in front of his man well. And though he wasn’t as good as normal rebounding the ball, he was better at defending the rim and using his jumping ability to his advantage. 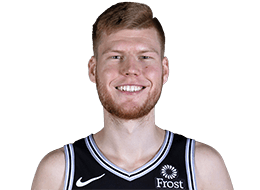 Summary: This was mostly a run of the mill Bertans outing. 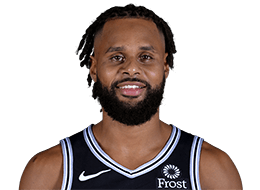 With White laying an egg offensively, it would have been nice if Patty Mills came to the rescue. But … he didn’t. With Mills’ 0-for-6, the point guards were a combined 0-for-16 from the floor. That’s will not often be a winning formula out on the road, to put it kindly. To add to the disappointment, Mills wasn’t making many plays, and his passing and dribbling were loose. Defensively, the Australian was sub par and his energy was mediocre. Summary: Mills added to the point guard struggles. Playing Poeltl more minutes could have been helpful, especially defensively. Giving Bertans more of a run could have helped spread the court offensively. Pop showed some ingenuity when he went without a point guard in the fourth quarter with White and Mills circling the drains. The gambit worked offensively but putting Forbes on Walker seemed to set him off. Summary: The Spurs needed this road win. Pop and the Spurs didn’t deliver. Looking ahead: The Spurs went 1-2 on the three-game road trip. To keep the momentum from their nine-game winning streak and increase their hopes of climbing out of the eighth seed, winning two out of the three would have been helpful. Didn’t happen. Next up, the Spurs retire Manu Ginobili’s number. Oh, and they really need to defeat the Cavs in the game that precedes the festivities.